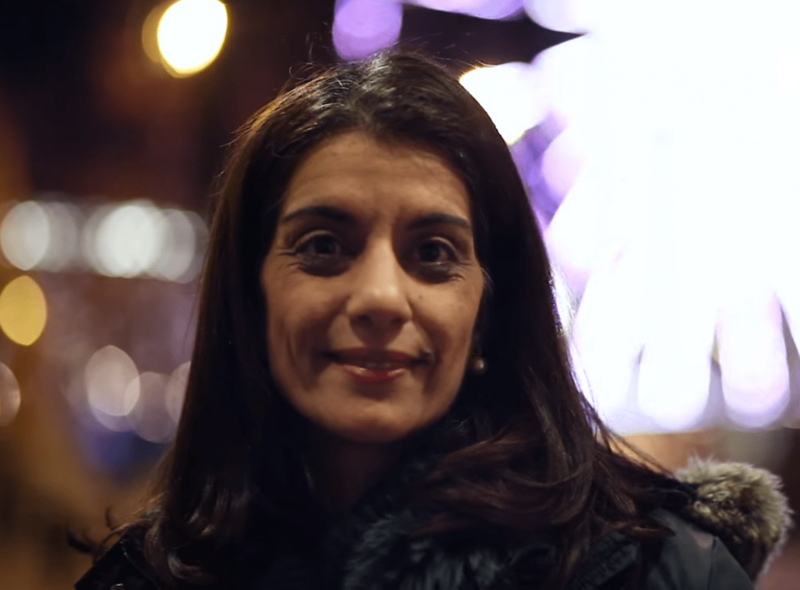 Born in Iran and a refugee in the UK by the age of 11, Sanam Naraghi-Anderlini has been a leading international advocate and peace strategist for 20 years. Sanam Naraghi Anderlini’s leadership in the formation of the Women’s Alliance for Security Leadership (WASL), and launch of the Global Solutions Exchange (GSX) at the United Nations General Assembly was recognized as one of the standout good news stories of 2016 by the World Economic Forum. She is the author of Women Building Peace: What They Do, Why It Matters—published in 2008 and based on primary research in 15 war zones. She is the Co-founder and Executive Director of the International Civil Society Action Network (ICAN), where she supports civil society activism in promoting women’s rights, peace and human security in countries affected by conflict, transition and closed political space. She was the first senior gender and inclusion advisor on the UN’s Standby Team of Senior Mediation Advisors. She was also among the co-founders of the US Civil Society Working Group on Women, Peace and Security in 2010. In 2000, Ms. Anderlini was among the civil society drafters of UN Security Council Resolution 1325 on women, peace and security. Here she speaks to Aya Nader about her life, her work and her vision for ICAN. What lured you into the peace and security field from the beginning? Multiple factors. I was a refugee at the age of 11 from the Iranian revolution. I was brought up by women right after the revolution. I recognized that when there’s a crisis within a country, it’s never a one-off event; it has had generational impact in many aspects of my life and of those around me. As a child, I did not see my father for 7 years. My family was and is scattered around the world. Every decade we feel the impact in a different way. But in my 20s, I thought – I just don’t want anybody else to go through what I did – and wondered how I could prevent this. That is what thrust me into this field. Not surprisingly, I was also always drawn to the question of how a country goes from an authoritarian, closed, or dictatorial space to a more open democratic space without going through violent conflict. I was inspired by South Africa, by their ability to forgive, reconcile and avoid a descent into violence. I thought if they can do it – and it’s largely down to deep love of country, and recognizing the humanity in each other – then why not others. Can you tell me one story that touched you? In my line of work, the greatest privilege and continuous source of inspiration are stories I hear and the people I meet. But two stories have stayed with me from my earliest years of work. In 1998 in London I helped organize the first conference of 50 women from war zones worldwide. It was just four years after the Rwandan genocide when 800,000 people were killed in 3 months. In London, a Rwandan woman who had the saddest eyes I have ever seen, stood on stage and spoke about the need for peace and reconciliation, and moving forward to save the next generation. I discovered later that she had lost 100 relatives. Yet she spoke of forgiveness and moving forward. I wondered what I would have felt and done in her place. But I can’t bear to even imagine that happening to one member of my family, let alone so many. I realized that people like her exist and they are extraordinary, and that I wanted to work to amplify their voices in the world. That’s my touchstone. I also met Thandi Modise in 1998. She’s South African, and had spent time in jail during apartheid, but became a Member of Parliament, and chaired the defense committee. She told the story of taking on the military and defense interests during the transition years after apartheid in the 1990s. They were determining their approach and priorities for a new national security policy, and instead of assuming it meant more military power and money for tanks and weapons, she asked a simple but profound question: “What does security entail and mean for most South Africans?” They put the weapons budget on hold, and spent time talking to ordinary people across the country, in cities, towns, and villages, asking them what security meant. The public’s response was both obvious but also transformative. They said security meant clean water, lights on the streets, eradicating poverty, preventing HIV/AIDS. The government then had to frame its national security policy around issues of human security, not traditional defense. It had budgetary implications, because it meant the arms industry had to take a step back. The budget had to be reallocated to the newly defined security interests and policies. Imagine it! Imagine if every country was able to democratize the discourse on security, and enable the public to participate in it. We need it in the US now! What is the international community’s role in both preventing violence, and once violence has surged? This is the greatest challenge since the end of the Cold War and into the 21st century. We have an international peace architecture that was designed to stop interstate wars. The UN system was designed to stop other inter-state wars and world wars. It’s premised on the principle of non-interference in the domestic affairs of a member state and respect for the sovereignty of the state. So in principle, the international community is hampered when it comes to preventing violence and warfare within countries, even when there’s plenty of warning. Of course, the system has had to evolve. If we want to stop wars, and warring parties include non-state actors, then they have to be at the negotiations table, because they are part of the problem. But my work and our argument is that in the wars of the 21st century, we also need to recognize non-state un-armed actors – i.e. ordinary people who organize to struggle for change peacefully or to provide relief. Because when the state recedes or becomes predatory towards its own citizens, it is civil society that emerges to provide services and to create a new social fabric. They have as much of a right to be at the peace table. They deserve our respect and protection too, because they do their work without bearing arms or threatening people with violence. When the international community, including the media, ignores them and only pays attention to armed groups, then implicitly we reward violence. This is particularly pertinent to women. In my experience globally over 20 years, I have always seen and met women who are among the first to organize – they are the frontline humanitarians, mediators and even weapons collectors and ceasefire monitors. They are the peace actors. But they are excluded from peace talks. Elevating and amplifying women peacemakers is why I helped lead the campaign in mobilizing support and advocating for the UN Security Council Resolution 1325 on women peace and security. To me the most powerful essence of the agenda is the principle of participation and recognition that women peacemakers – not just politicians or members of armed groups – but ordinary women with extraordinary courage and patriotism should have a seat and be a voice of influence at the tables where the peace, security and rights for everybody in their country are determined. Where does the problem of extremism come in and how has it changed recently? Extremism and violent extremism are another iteration of the changing nature of war in our times. And of course it has spread. When 9/11 happened, there were around 5000 Al-Qaeda supporters. Now we have hundreds and thousands of extremists, and more variations of these groups. We cannot discount the effects of the Iraq war and the heavily militarized strategies of the West. We have been extreme in our policies. These groups meanwhile have sprung up and are locally rooted, but globally connected. There are those who have their roots in Wahabi and Salafi teachings and have an even more warped ideology that condones violence. We are witnessing the emersion of the other forms of extremism rooted in Hinduism, Christianity, even Buddhism and of course ethno-nationalism like white supremacy. So extremism breeds extremism, and most people are stuck in between. Sixteen years after 9/11 over 120 countries are affected, in one way or another. Why do women matter in the discussions on extremism? For many years women have been seeing and warning against the rise of extremist ideologies and movements, whether it’s Catholic or Islamist or other religions, which push back against women’s rights in their own countries and at the UN. The problem is that violence and oppression of women is perceived as cultural, and not taken as a serious matter of security, as it should be. It is made worse by the fact that the international community gets excited about the five women that become jihadists, and ignores the 500 that might be active against extremism, and were often the first to warn and react. Women’s activism is undermined, taken for granted, or erased. And because it is local work, it is not well documented. As for policy, women are probably some of the best sources for feedback. They can tell whether international policies have been effective or harmful, and for that simple reason the world needs to listen to them. In September 2016 you launched the Global Solutions Exchange with the Norwegian government at the UN. What came out of your presence at the United Nations in September? The Global Solutions Exchange is a platform for ongoing dialogue between civil society and governments. Our goal is to ensure in-depth and serious exchange of ideas and solutions to address extremism. At the launch our partners were on stage at the UN with the Norwegian Prime Minister, speaking to an audience of senior government officials and others. On one level there is important symbolism of civil society sharing the space as equals with governments at the UN. It is as if we are bringing the “we the peoples” line of the UN Charter back to life. There are important strategic aspects too. Extremists have been good at tapping into people’s mistrust of states. Our partners from the Women’s Alliance for Security Leadership (WASL) spoke about their solutions, particularly regarding the positive alternatives they offer. ‘Preventing and countering extremism’ articulate what we are against; conceptually this framing is not conveying what values and vision we proffer. From Nigeria to Pakistan and Iraq, the WASL members demonstrated the importance of trusted local voices, and the access they have. Without these civil society actors, none of the international strategies can work. This is the challenge of our times; you need a diversity of actors to make peace, rights and pluralism a lived reality. How did the idea for ICAN strike you? It was a process. In 2004 I opted to do consulting for the UN and other institutions so I could work from home and be with my twins. But I had a job offer from a great organization and I wondered, do I continue my consulting, which allowed me to do creative work, but did not give me the control to advocate for change, or do I take a chance and lead? I met my colleague Sussan Tahmasebi at a conference around the same time. She was working on women’s rights and empowerment issues in Iran. Her passion and our shared ethics around working with local organizations and national partners brought us together. We knew from experience that in the Middle East, women’s rights cannot be separated from their involvement in peace and security, because in the ideology of extremist religious or nationalist movements, women are very clearly targeted to have a circumscribed role and rights in public and private life. So there is a nexus of the fight for women rights, and the struggle to ensure women’s voices and influence in peace and security. They are integral to each other. We have envisioned ICAN as a bridge. Perhaps because both Sussan and I are inherently bridges, due to our multi-cultural backgrounds. There are challenges that come with being multi-cultural but there is tremendous creativity too; we are conditioned to think outside the box. I used to take this for granted, but I have come to realize it is an important perspective, and the privilege of having this worldview comes with the responsibility of drawing on it to foster greater understanding and peace. ICAN bridges divides. We connect women peace and rights practitioners across countries and regions to break their isolation and ensure they value and learn from each other’s experiences and expertise. We connect them to the policy community so they can speak directly to inform and improve policy making and programming. Our greatest asset is trust – trusted relations with our partners, with the policy and academic community and increasingly with the media. We invest in trust and we see the returns. Each year, we have expanded to different countries and different regions. Have you faced any hardships with ICAN? All the time. In terms of funding, each and every year we have to raise funds. We never know, financially, where we will be. We work with partners based in countries and regions facing terrible hardships. We share in their pain, but we also recognize that our job is to show solidarity and point to the light, when they are facing darkness. We have friends and colleagues everywhere, so with every bomb that goes off we worry. But their resilience and hope inspire me. Despite the hardships it is extraordinary to do this work. How many people can determine the course of their work? When we decide to tackle an issue, often we are innovating and breaking new ground. Last year for example, we delved into the connections between macroeconomic policies, particularly neoliberalism, and the rise of extremism – with a gendered lens of course! It’s fascinating to shape new discourses and listen as our partners engage directly with world renowned economists, such as Professor Radhika Balakrishnan at Rutgers University, to hash out the issues. More of this to come in 2017! How has ICAN developed and how do you envision its future? In the early days, the ICAN headquarters was an armchair in my dining room. We’ve expanded to having a small office and an amazing and growing global network. I would like ICAN to be recognized for excellence in all our areas of work; to maintain a humane, caring and respectful relationship founded on trust with whomever we collaborate, from local partners to international NGOs and governments; and to see our unity and sense of common purpose and cause amplified. I truly believe that the majority of people in the world are decent and caring, and if we could harness that power, we could bring peace and security to everyone. We need to renovate and improve the peace architecture we have to build it domestically so that we can value our age of extreme pluralism while strengthening our sense of social cohesion nationally and globally. We need to be audacious in our imagination because if you think about it, wars and violence are man or human-made. They arise out of individual decisions that individuals make. Surely in the 21st century we can unmake them. Certainly we must.